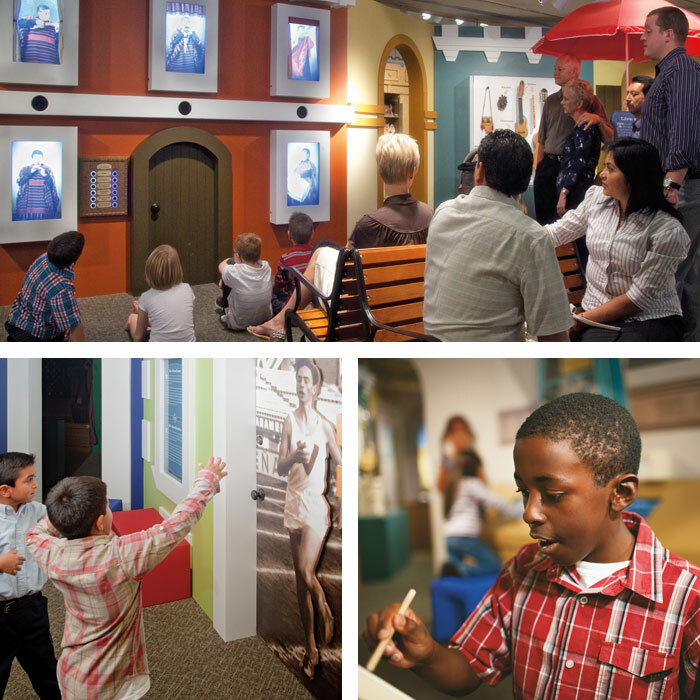 The Church History Museum near Temple Square in Salt Lake City, Utah, USA, is featuring a large Book of Mormon exhibit (above) for children until January 6, 2013. 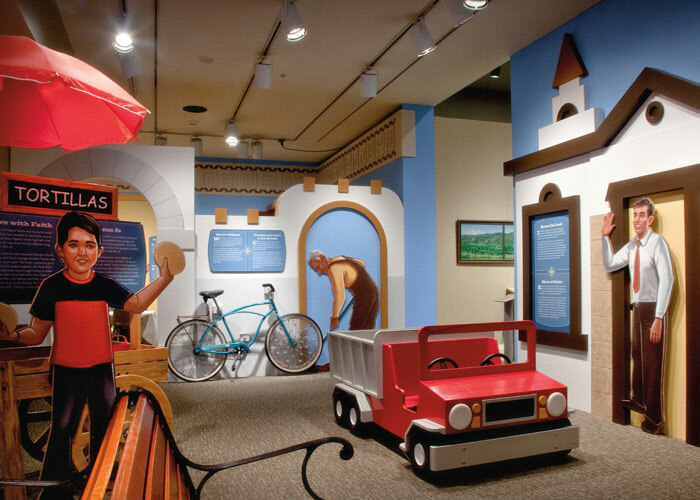 The exhibit celebrates the rich Latin heritage within the Church by focusing on Book of Mormon truths while highlighting modern-day stories of faithful Latin American Saints. It is divided into three interactive sections: Learn Truths, Share Truths, and Live Truths. 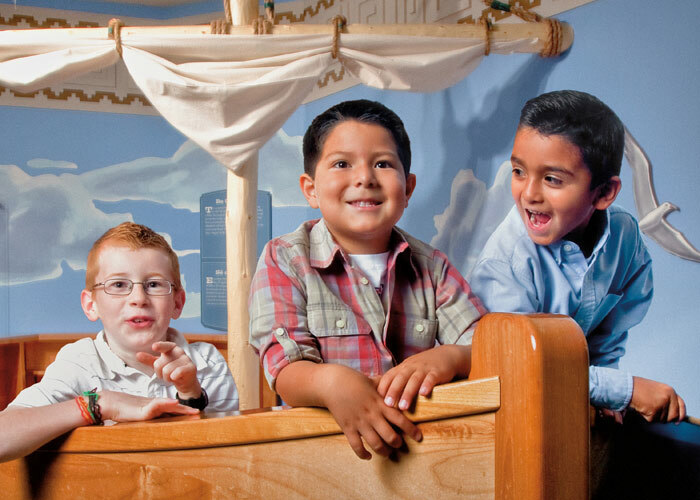 Here children can step into Book of Mormon stories, such as boarding a ship and using the Liahona to sail across the ocean as Lehi and his family did (see page 38) or building the wall (above) upon which Samuel the Lamanite prophesied of Christ’s birth. 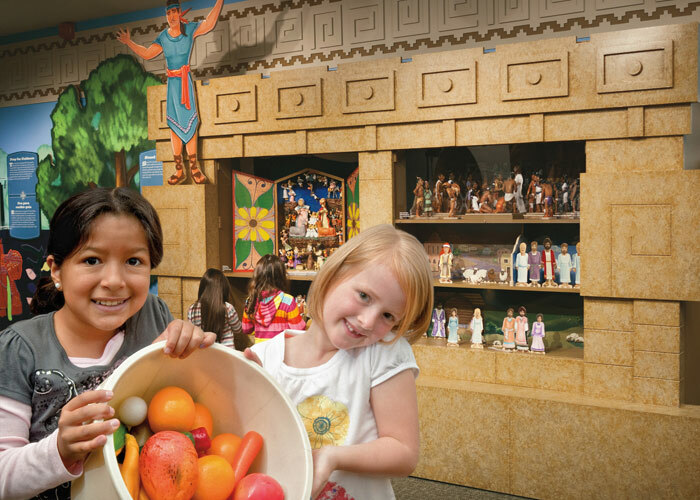 They can gather plastic fruits and vegetables for a “missionary meal” or use dolls to tell the story of the Nativity (left). 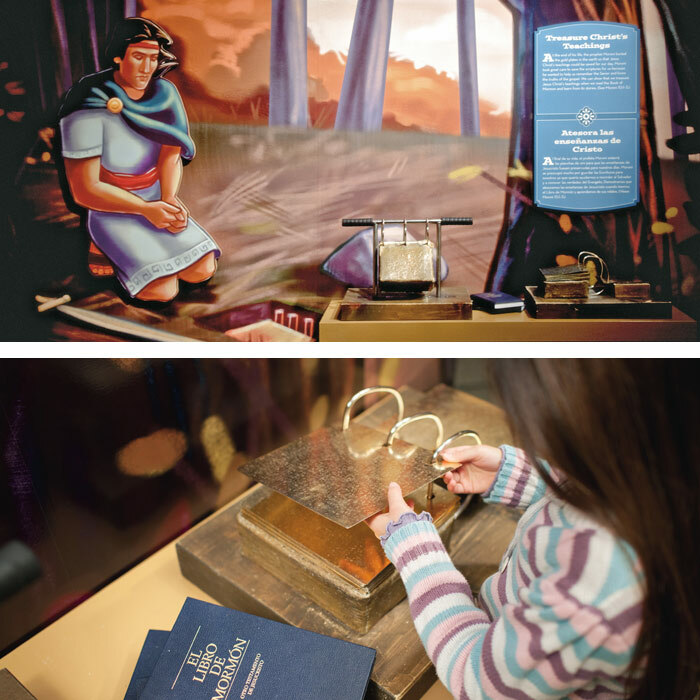 Children can look at a painting of Moroni burying the gold plates and then turn the metal pages in a life-sized replica of the plates (below). 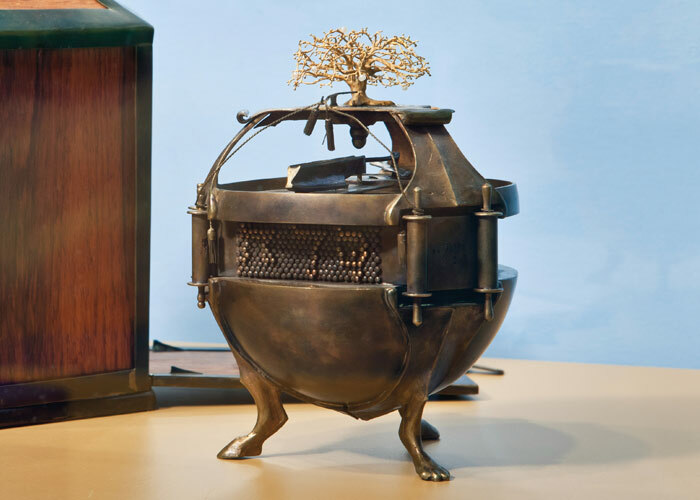 Visitors can enter a missionary apartment (above) complete with a stove, a table, and a vegetable garden and learn the joy of being a missionary. 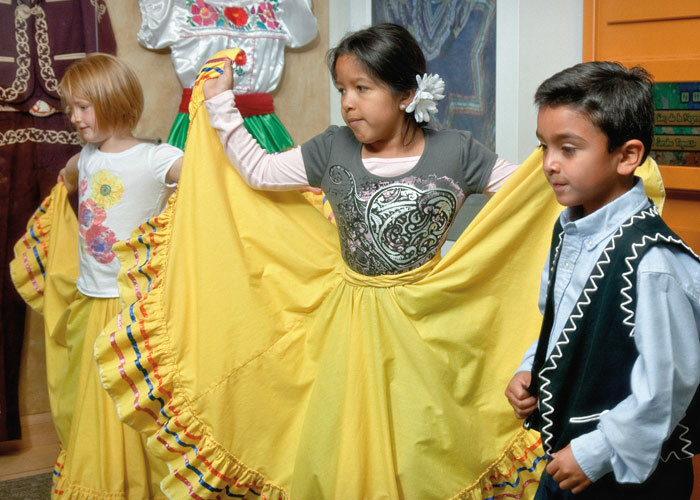 As children put on a vest or a long skirt and practice dance steps (left), they learn about modesty and a young girl from Peru who wore a long skirt for a dance recital instead of the suggested immodest costume. 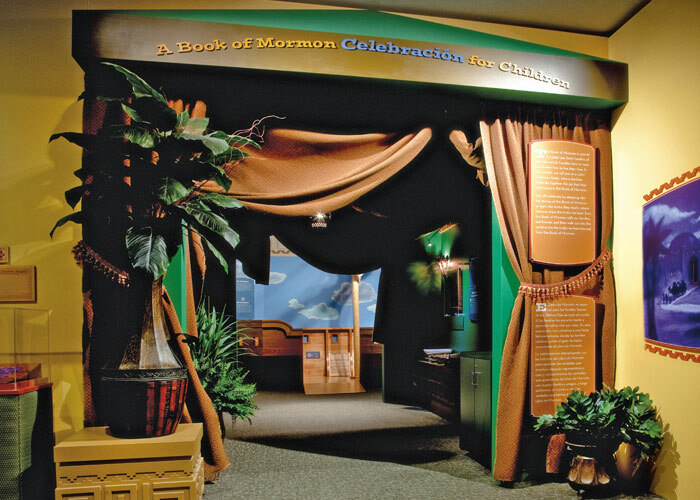 They can ring the doorbell on an apartment building and hear testimonies of the Book of Mormon from those who have lived its truths, learn to keep the Sabbath Day holy from a talented runner who chose not to race on Sundays, and try their hand at abridging records in Moroni’s library (above). 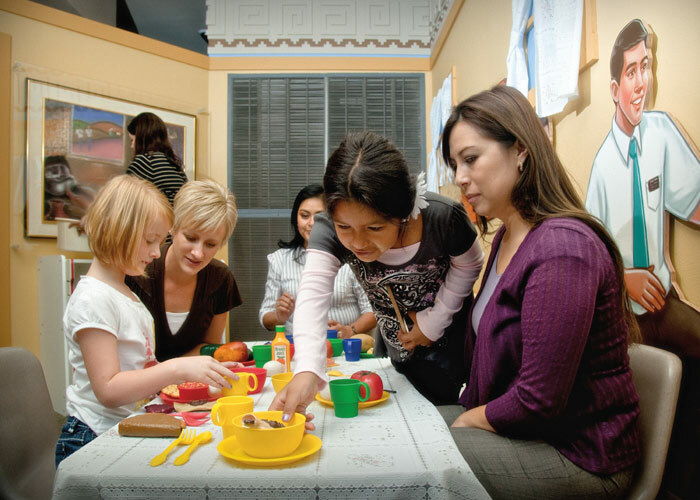 Just as the Liahona guided Lehi and his family in their travels, the Book of Mormon can guide us in our lives. Starting on the left in the picture above, a tortilla toss game teaches children that with faith, nothing is impossible, as they learn how a family sold tortillas to earn money to go to the temple; next, a gardener and his bicycle teach children of service as they learn of a brother who planted small gardens to feed those in need; and a red dump truck teaches about gathering as children learn of a member who gathered others on Sundays and drove them to church.